A young man with hypophosphatasia experiences progressive disease throughout childhood. Based on a published case study: Watanabe et al, J Periodontol, 1993. Watanabe H, Umeda M, Seki T, Ishikawa I. 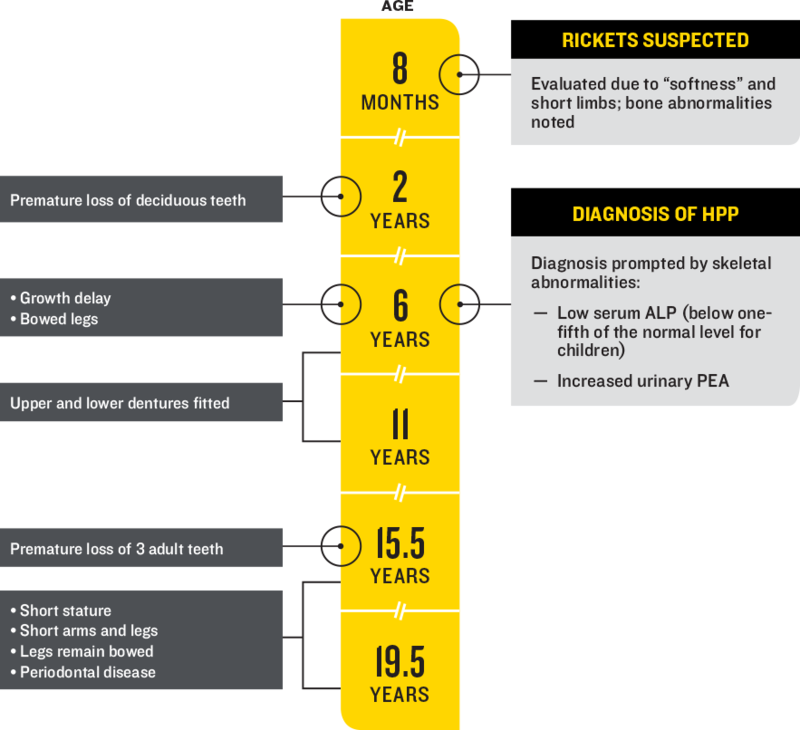 Clinical and laboratory studies of severe periodontal disease in an adolescent associated with hypophosphatasia. A case report. J Periodontol. 1993;64(3):174-180. Caswell AM, Whyte MP, Russell RGG. Hypophosphatasia and the extracellular metabolism of inorganic pyrophosphate: clinical and laboratory aspects. Crit Rev Clin Lab Sci. 1991;28(3):175-232. Birtwell WM Jr, Riggs BL, Peterson LFA, Jones JD. Hypophosphatasia in an adult. Arch Intern Med. 1967;120(1):90-93.